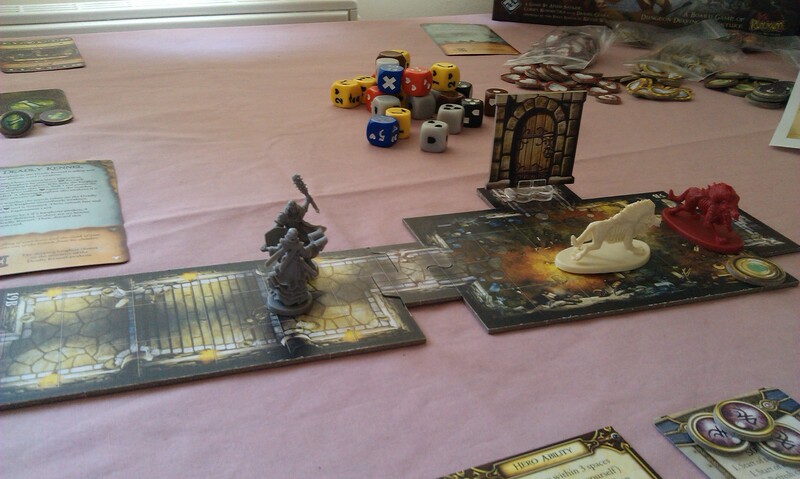 Descent is, for me, the archetypal dungeon-crawler game. Currently in its second edition, I’ve been steadily collecting it for a couple of years now, but due to lack of interest, have only played it two or three times in total. Very disappointing! 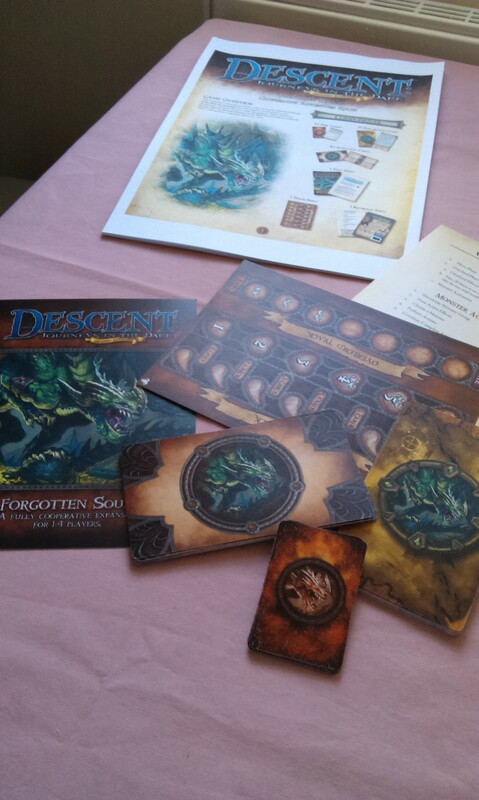 Then, Fantasy Flight announced a few months back that they would be adding Descent to their organized play roster, which meant production of a game night kit. But how would organized play be implemented for a game where one person takes on a group of people? Well, the answer was to level the playing field and make the game co-operative, rather than one-versus-many competitive. Genius, and for me, very handy, as it meant there was now a way I could play this game by myself when I had the itch! 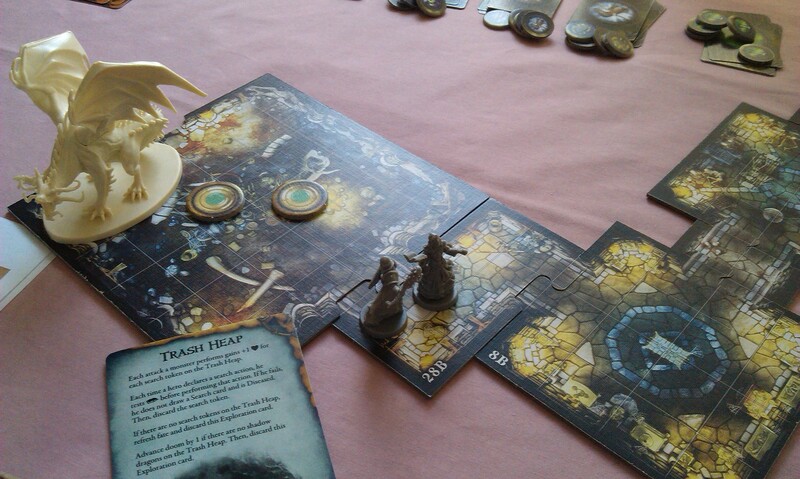 The quest that was released as part of the game night kit is called Forgotten Souls, and is pretty amazing! 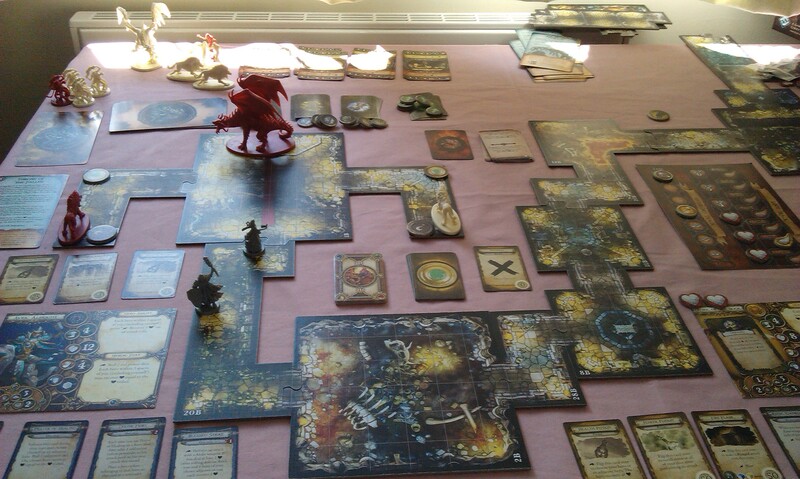 Whether I feel that way simply because I’ve not had a real chance to appreciate Descent in its true form is, naturally, up for debate, but I have just had one of the best mornings gaming of my entire life! Seriously, it’s like I’ve had a whole new vista of gaming awesomeness opened up for me! The quest is print-on-demand, and can be ordered here, with the rules available for download here. At some point, I guess it’ll be available over here, but I always like to get my POD stuff directly from the publisher, just to support them a bit more and such! 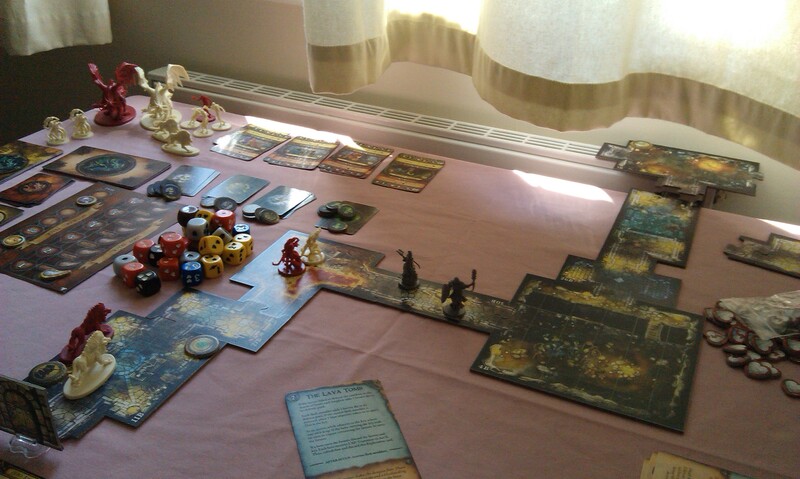 Descent has suddenly become a game I want to play more of, so expect to see a full blog on the core game (at least) before very long!!! Looks like something really massive happened while I was asleep. And that wasn’t supposed to be a euphemism. 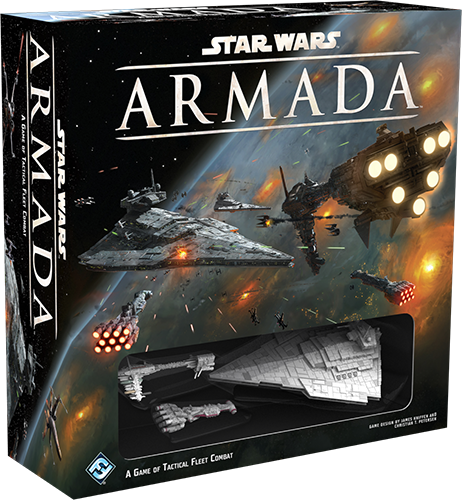 FFG have announced a new starship miniatures game, with all manner of big guns coming, including the long-awaited (by X-Wing fans) Star Destroyer. I feel a bit…underwhelmed. Admittedly, a lot of that comes from the fact that I really wanted a ground-based miniatures game, not another starship-based one. 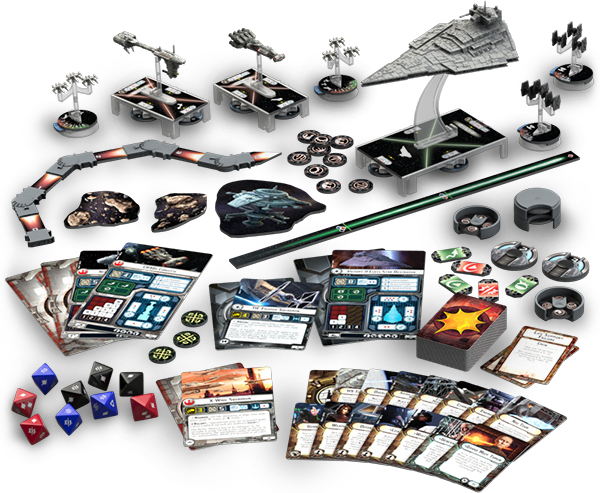 Looking through the announcement, it seems they’ve tried to make it to appeal directly to existing fans of X-Wing, as it seems to have a lot in common, yet different enough to call it an entirely new game. I don’t know. $100 for the core set also seems really pretty steep: the same price as Horus Heresy, but potentially less stuff? Hm. At least I have a few more months to decide, as it’s not due out until next year. Plus I’m assuming some GenCon demos will be videoed. I’ll no doubt get it, because it’s Star Wars of course, but I’m currently feeling quite sceptical about it… We shall see, I suppose! 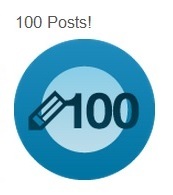 It’s post 100! To celebrate this enormous milestone, I’ve been planning a tribute to what is probably the best webshow ever created, Geek & Sundry’s The Guild! Just discovered The Guild. Oh my good gosh, marvellous!! Thank you thank you thank you @GeekandSundry @feliciaday !!!!!! Just, marvellous!!! I love The Guild. I only discovered it in April this year, having been only periphally aware of it before then, but was absolutely overjoyed that I did! The product of the excellent Felicia Day, who plays the lead Cyd Sherman/Codex, the show depicts a small group of MMORPG gamers who meet up in person, and the havoc that is unleashed thereafter. Innovative for its time, it was perhaps the first breakthrough show to be released online. The show debuted on July 27, 2007, with the first three episodes being filmed entirely on the producers’ own money. However, it proved so successful that it was picked up for another seven episodes. Subsequent seasons ran to twelve episodes, with these episodes often running longer and longer as time went on. The first three seasons have been released on DVD in the UK, though the final three are still on their way. At least they’re freely available online, though I do enjoy having the physical product of course! Keep an eye on Geek and Sundry’s website for further releases! In addition to the webseries, there are numerous tie-ins related to the show such as comics, music videos, and even game tie-ins! A “season 0” comic series was released that showed us how Codex got into The Game (which is clearly based on World of Warcraft). A series of one-shots was the released showcasing the other members of the Guild, followed by another one-shot showing what happened to Fawkes and the rival guild Axis of Anarchy between seasons 4 and 5. The prominent position of the card game Munchkin in season five led to a small expansion pack being released for that game, featuring members of the Guild. Of the three music videos they’ve done, the first, ‘(Do you wanna date my) Avatar’ is definitely my favourite, it’s just so much fun! Released to promote the third season, two more videos were released – ‘Game On’ to promote season 4, and ‘I’m the one that’s cool’ followed to promote the launch of Geek & Sundry itself. It’s a fantastic show! If you’ve made it this far without watching any of these linked videos, then shame on you! Go back and watch them all – it’s the best few hours you’ll spend online, I’m sure you’ll agree!